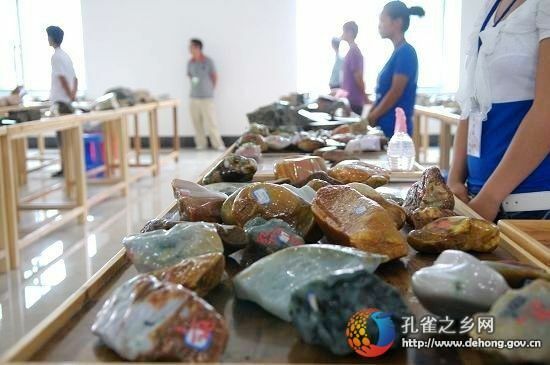 Ruili's first exchange of jade wool—Ruili Guanhua Internatinal Exchange of Jewelry Jade Wool was open on the morning of October 5. That day, there was more than 300 tons jade wool worth 300 million yuan on the exchange of jade wool. 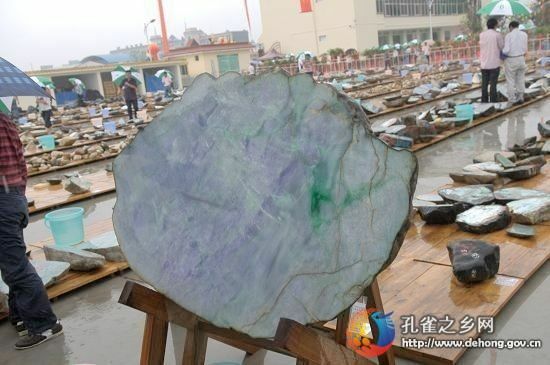 There were 3500 booths and the Jade wool price was from several hundred yuan to tens of millions yuan. 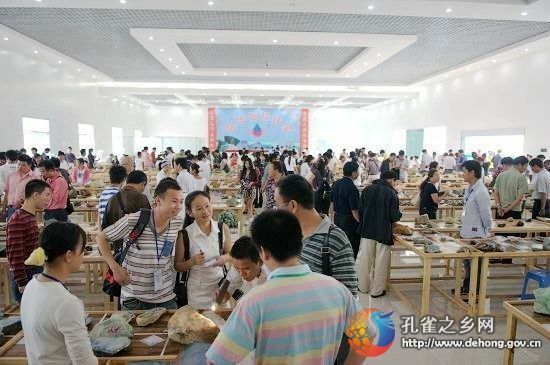 More than 5,000 people of jewelry merchants from various parts of the country participated in the bidding. It is understood that the total investment of Ruili Guanhua International Exchange of Jewelry Jade Wool market is more than 8000 million yuan. It is the largest jade wool market with an area of about 20,000 square meters and construction area of about 5,000 square meters of China. 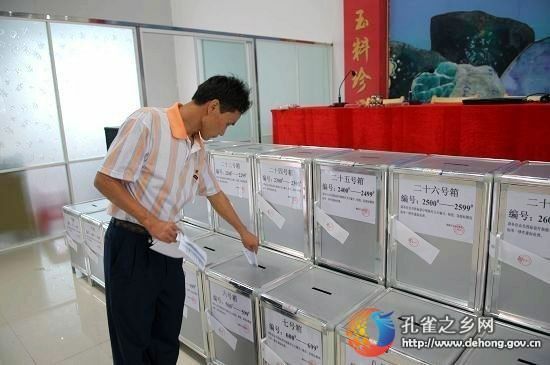 Ruili is the main channel and distributing center for jade entering china. After years of build, Ruili has built five big jewelry parks as Jewelry Walking Street, Huafeng Market, Jiegao Jade City, Jiegao China-Burma Street and water Amusement Park. There are over 4000 merchants engaged in processing and marketing jewelry. The merchants come from China's mainland and Hong Kong, Taiwan, and Myanmar, Pakistan, India, Nepal and other countries. The number of jewelry employees is 35000. 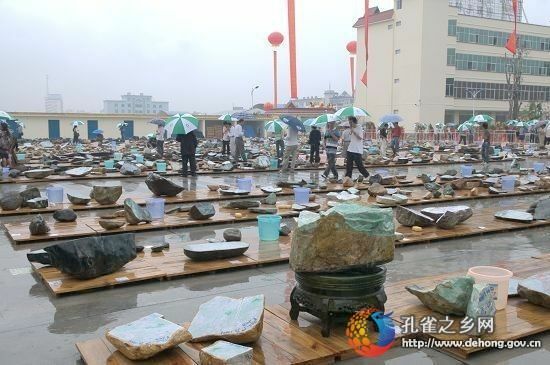 The open quotation of Ruili Guanhua International Jewelry Trade Auction Co., Ltd jade wool market will not only break the bottleneck of wool and promote the development of jewelry cultural industries of Ruili, but also enrich the content of Ruili tourism culture and promote the Economic and social development.